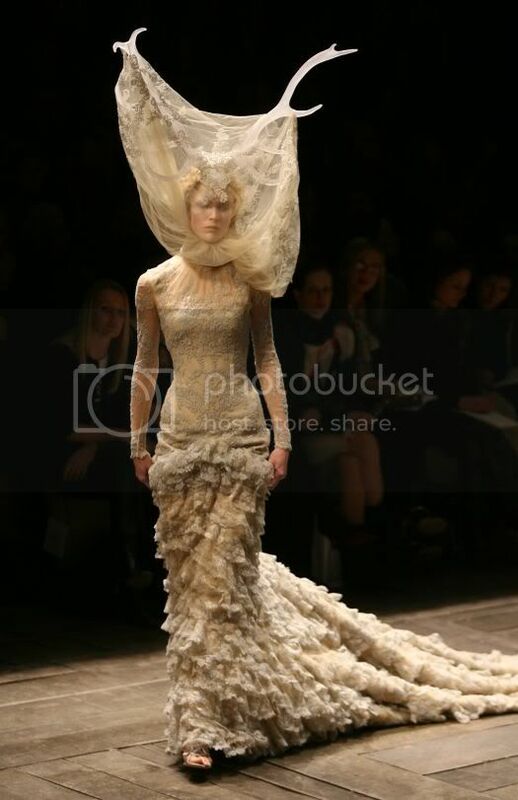 Lee Alexander McQueen , born in March 16th 1969 in Hackney, London. He started making dresses for his three sisters at a young age and announced his intention of becoming a fashion designer.McQueen attended Rokeby School, also he stayed as apprenticeship with Savile Row tailors Anderson & Sheppard, before joining Gieves & Hawkes and later the famous theatrical costumiers Angels and Bermans. In 1994, he applied to London's most prestigious fashion school, Central Saint Martins College of Art and Design. He received his Master degree in Fashion design and his graduation collection was completely influenced by fashion stylist Isabella Blow (she committed suicide in May 2007). For years she was his best friend and she was responsible for McQueen to change his name, from Lee to Alexander, his middle name. 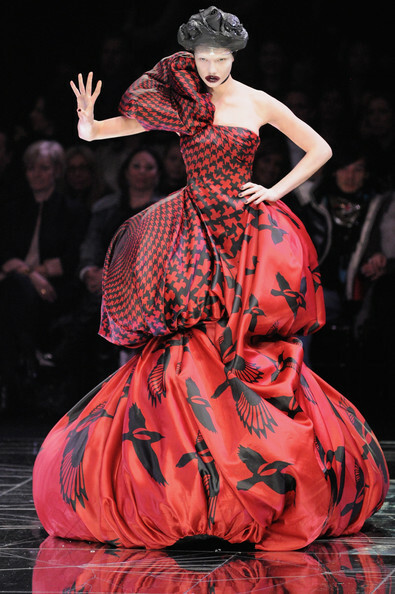 McQueen was known for his extravagant, avant-garde runway shows. He became "the hooligan of English fashion" and earning the title "l’enfant terrible”. However, he was elected in 1996 to be the designer of Givenchy. His run through the house of Givenchy was not very successful, caused controversy, as a step in Autumn 1998, which showed on the catwalk car-robots spraying paint over white cotton dresses, and the model Aimee Mullins, double amputee, striding down the show on intricately carved wooden legs. He finished his days at Givenchy in March 2001. For his enormous creativity, he was the youngest designer to win the title of “British Designer of the Year”. The collection, McQueen, was released on 11 October 2007. He opened boutiques in New York, London, Los Angeles, Milan, and Las Vegas. Many celebrities have used his clothes in large events such as Penelope Cruz, Nicole Kidman, Sarah Jessica Parker, Rihanna and lately we have seen his collection worn by Lady Gaga in her videos and live shows. 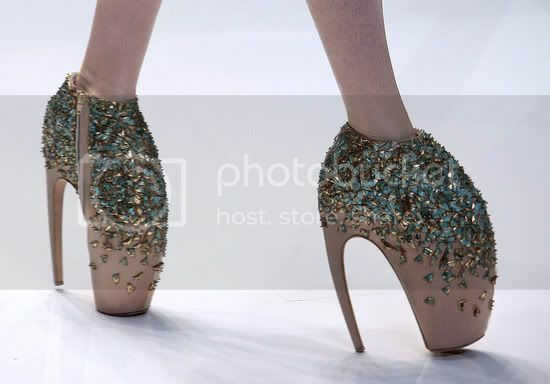 I must say that Alexander McQueen was and will be one of my most beloved designers. His creativity goes beyond designing apparel, he was an artist and always will be remembered by me in my heart, I'll remember him forever. Someday I will have one of his designs in my wardrobe, it would be an honor. 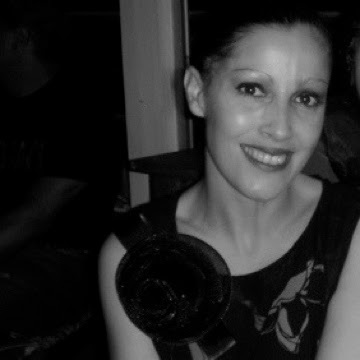 Halloween costume I made in honor of McQueen last year. The Fashion Legend with his Mother Joyce. I trully love what you did for Alexander Mc Queen. Sólo nos queda decirle adios a este genio... Nos queda su esencia, que son los diseños.